Commentary: Brick by brick, Amazon has been building itself into a package delivery company to satisfy not only the voracious demands of Amazon shoppers but also anyone else who wanted to move merchandise. Amazon’s ambition has been in plain sight for years. The company has built its own network of merchandise warehouses and package-sorting centers. It enlisted its own airplanes and truck trailers to transport cargo. It registered to move freight across oceans, and in dozens of cities it tapped couriers to deliver packages directly to shoppers’ doors. Brick by brick, Amazon has been building itself into a package-delivery company to satisfy not only the voracious demands of Amazon shoppers but also anyone else who wanted to move merchandise from one place to another. None of this has been a secret. 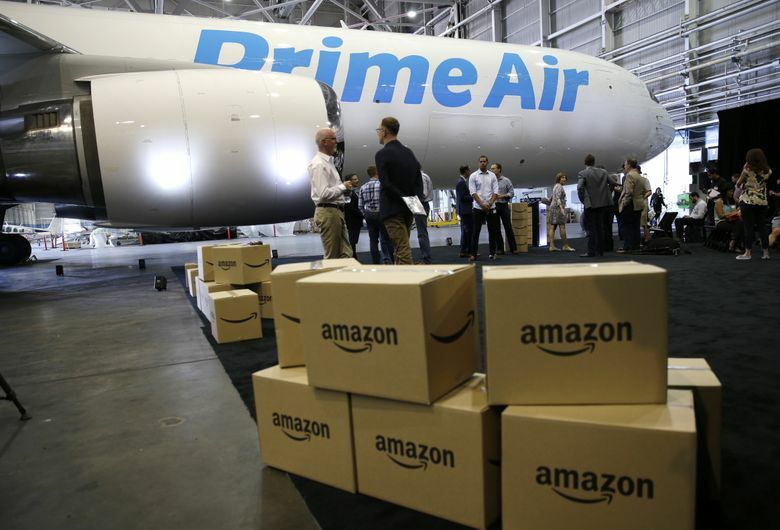 Even a hush-hush company like Amazon.com can’t keep jet planes under wraps. But Amazon and its delivery partners such as FedEx have had plausible deniability about what’s been happening. When Amazon executives are asked whether they’re trying to become another FedEx or UPS, they say those Amazon trucks, warehouses, airplanes and delivery drivers are intended to supplement existing shipping providers when needed and improve service for Amazon shoppers. The Wall Street Journal reported Friday that Amazon plans for the first time to pick up packages from businesses and ship them to customers. Initially, the Amazon delivery option will be only in Los Angeles and only for companies that sell merchandise through Amazon’s website. These are baby steps, but they are important symbolically. It won’t stop with one city or one type of customer. Amazon can’t handle all deliveries on its own yet, but this is the company’s first direct move into FedEx and UPS territory. Soon, those bold words from FedEx’s CEO will seem ridiculous. Two years ago, Fred Smith told stock analysts that concerns about Amazon shaking up the package-shipping industry were “fueled by fantastical” reports. “In all likelihood, the primary deliverers of e-commerce shipments for the foreseeable future will be UPS, the U.S. Postal Service and FedEx,” Smith said. Smith was factually correct and also blindingly wrong. It’s clear that Amazon’s delivery service won’t have the scope of UPS, FedEx or the Postal Service right away, and maybe not for years. Building a global shipping company is painstaking and expensive work. FedEx is 47 years old. Amazon has been earnest about building its own shipping infrastructure only since 2013, when the company’s delivery providers weren’t able to handle a surge of holiday-season Amazon orders. But is anyone willing to bet that it will take decades for Amazon to turn its patchwork of warehouses and intercity delivery operations into a full-fledged shipping network? Betting against Amazon CEO Jeff Bezos is never wise, especially when his company has shown it is dead serious about honing its shipping skills. What does dead serious look like? Amazon in 2017 splurged $13.2 billion on warehouses and other logistics buildup for its operations in North America, according to securities filings that combine Amazon’s cash capital spending with its additions of physical real estate under leases and other financing arrangements. That was five times the comparable figure in 2015. For comparison, FedEx and United Parcel Service each had more than $5 billion in capital spending over the last year. This spending surge fits Amazon’s pattern: When it sees potential in a new area of business, it puts its foot on the gas pedal. The CFO didn’t detail what Amazon’s “opportunities” might be, but they are probably the stuff of Fred Smith’s nightmares.